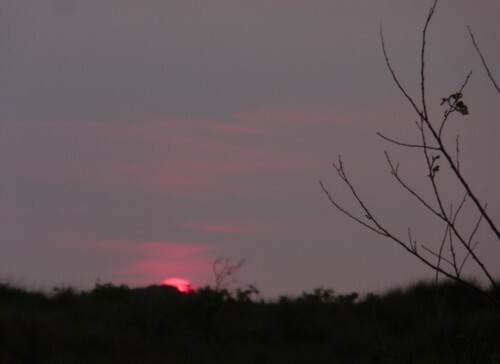 It was a only a small group that turned up at Formby Station for the first of this summer’s evening walks – Dave Hardy, Chris Butterworth, Chris Derri and me. On a wonderful warm sunny evening we set off along St Luke’s Church Road, going right down to the beach, then northwards along the sands and back by Albert Road. 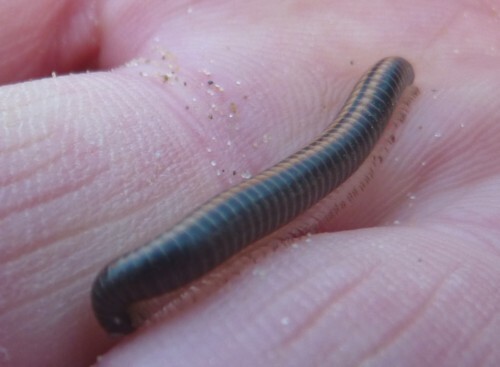 Although we saw and heard some birds on the way down to the beach  Linnets and Goldfinches twittering, Greenfinch calling, Chaffinch singing, Carrion Crows about  the main interest of the evening was invertebrates. 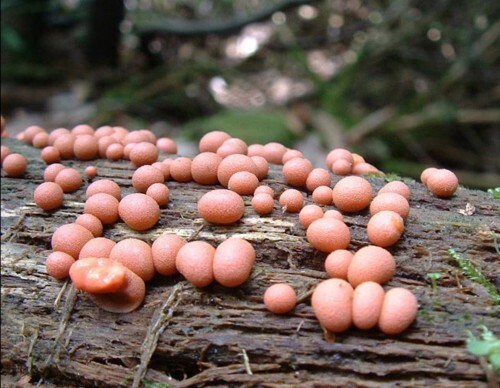 On a rotting log was a small crop of slime moulds Lycogala terrestre, like a scattering of small orange peas. 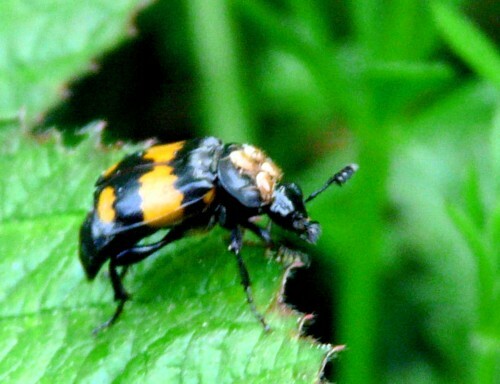 In the undergrowth we found a Sexton Beetle, and in the open verge was a Red-tailed Bumble Bee looking for a nest. It investigated a rabbit hole then disappeared into thick vegetation. 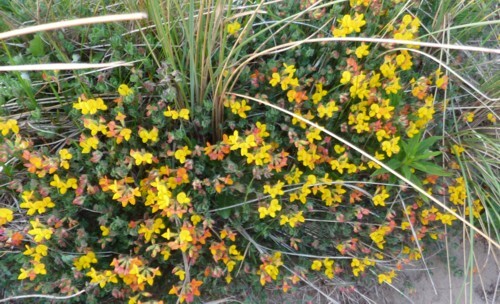 We also saw a Garden Bumble Bee Hortorium sp. 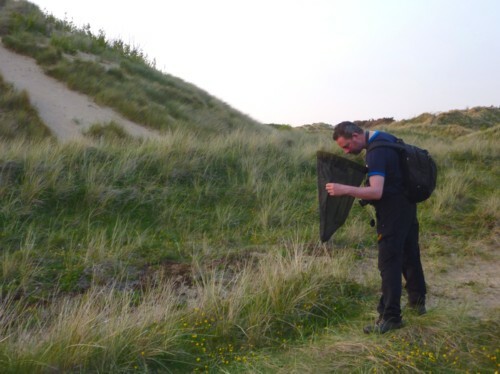 Chris Derri was hunting moths with a net. He caught a mid-sized “Tertrix” micro-moth and a really tiny white one which he took away to ID. (Later identified as Phalonidia manniana and Elachista argentella respectively.) He also caught a Lacewing and a Picture-winged fly. Out in the dunes there were some big dark fast-moving moths over the grass. 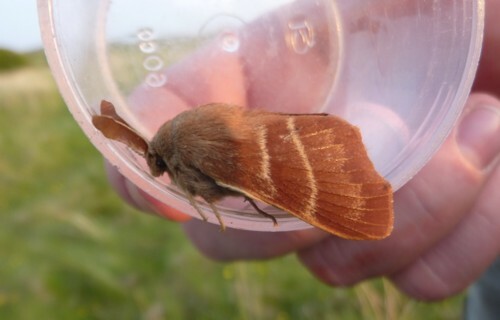 Although they were very lively, CD managed to catch and pot one, and it was an Eggar Moth, probably an Oak Eggar. 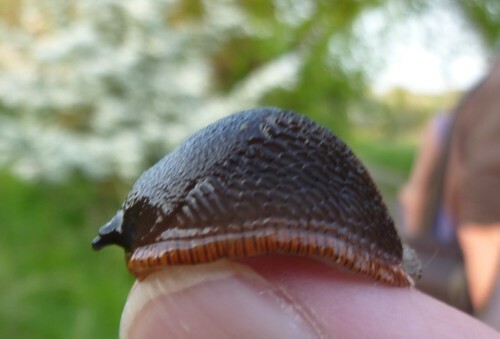 Other invertebrates included a roosting Common Blue butterfly, a Brimstone Moth on Albert Road, a very sticky slug (Tadonia sp.) and a Millipede Schizophyllum sabulosum. Flowers seen included Green Field Speedwell, Common Dog Violet, Viper’s Bugloss, Common Bugloss and Hound’s Tongue Bugloss, and a lovely patch of Bird’s Foot Trefoil. On the beach CB found Common Necklace Shell, Common Whelk, Spiny Cockle, Prickly Cockle, Rayed Trough Shell, Thick Trough Shell Spisula solida, Banded Wedge Shell, Baltic Tellin (he commented “in comparison to Wirral they are surprisingly uncommon on the Sefton Coast”), Pharus legumen (“the one that looks like a small Razor Shell, but has the hinge half way along the shell, not at the end”) and Pod Razor Shell. One of the Common Necklace Shells had what looked like dried sand in a crevice, but CB said it was Hydractinia echinata, a close relative of Sea Anemones. 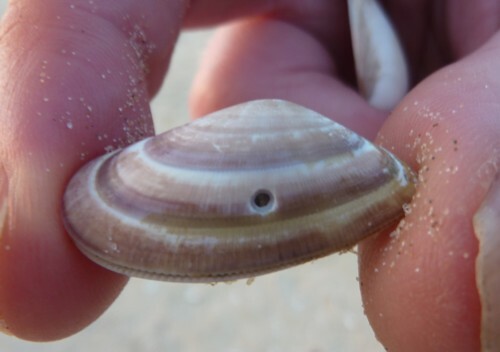 One Banded Wedge Shell had a small hole showing it had been predated by a Common Necklace Shell. A Reed Bunting was in amongst the Marram Grass near the beach. On Albert Road there is a big mound of wild Lily-of-the-Valley. 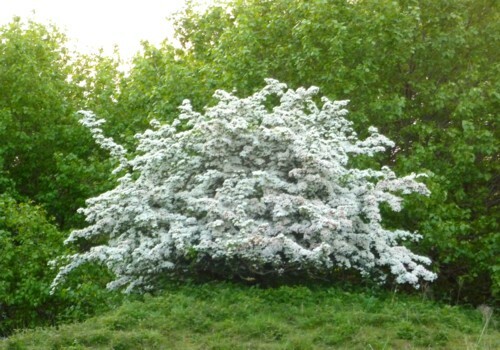 Also blooming marvellously was the Hawthorn: one tree was almost all white. On our way back past St Luke’s Church about a hundred Jackdaws flew in to roost, calling noisily. We were at Formby Station just before 10pm, and it still wasn’t quite dark. Thanks to Chris Butterworth for the shell identifications and Chris Derri for a photo and the IDs of the moths.